This post is all about how to start, finish and ship a project (product or service). 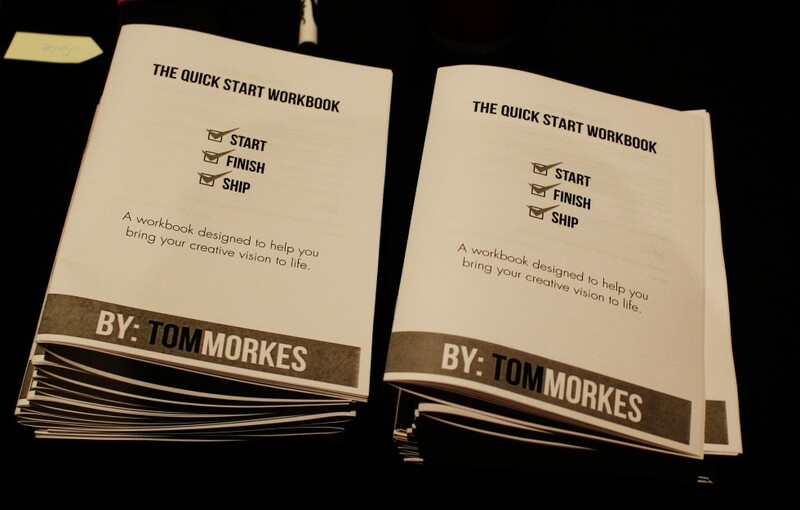 To help, I created a guide and workbook: Get the “Quick Start Guide + Workbook” here. 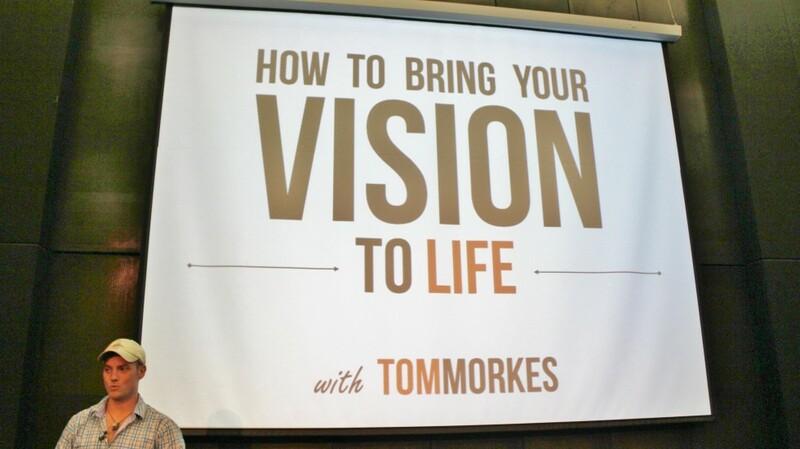 In February, I had the pleasure of speaking at The Game Changers Live event in Sydney, Australia. I gave a presentation on how to start, finish, and ship any creative project (from business to blog to movement). But how many people do it? How many people actually start, actually finish, and actually ship? The problem I see time and time again (and experienced in my own life, time and time again), is that we start with version 9.0 of our idea. It’s the perfect manifestation of your vision. It’s the ideal version that everyone likes. It’s the fabulous, brilliant idea you can’t believe doesn’t exist already – people would be crazy not to embrace it! So what’s the problem with starting with version 9.0? If you paid attention to those last three sentences, something should have stood out to you…something that wasn’t quite right. The word perfect…does such a thing exist in this world? The ideal version everyone likes…is there a single product on Earth that everyone likes? Here’s the problem with version 9.0: it doesn’t exist and never will. These ideas may not have started at version 9.0, but they got there over time, didn’t they? The current iterations of all of these ideas are not only different than when they started, but are entirely different than the perfect, idealized version the original creators envisioned at the start. The final version will never be the same as the original idea. The alternative to starting with 9.0 is to start in beta: with version 1.0. In software development, beta is the point at which some features have been added and are ready for testing…but there are still bugs and issues that need to be worked out, so it’s not “final” product code just yet. With the advances in technology and connectivity over the past 10 years (see: faster computers and faster internet), some pieces of software spend years in beta – intentionally. Not because they wouldn’t be able to release a finished product sooner – they could – but because beta allows us to rapidly deploy and test code with users without worrying about things being perfect. When we’re in beta, it’s a given that there will be bugs, problems, and rough edges. And this is okay. There will be bugs, problems and rough edges no matter what you’re creating. For any idea – whether product, service, story, or art piece – there is a basic version, one without all the bells and whistles. If your idea only works if you have the perfect user interface connected to 10 million customers with 3d glasses…well, let’s be real: no one wants your idea anyway. This process is simple like starting, finishing, and shipping…and it can be equally uncomfortable. Nobody wants to take a great idea they have and rip it apart so there’s nothing left that resembles the original idea. Yet that is EXACTLY the process every single author, artist, and entrepreneur goes through on their path to product manifestation. So why beat around the bush? Tear your idea apart at the start and you’ll be much better off later on. This process is called thrashing. It’s about reducing your idea down to its most basic, purest form. It’s about deleting the unessential. It’s about removing everything but the core. It is not a comfortable process but it is essential. Attached below is a free PDF to help you through this process of starting in beta with version 1.0. This is the same document I had printed and given out to everyone who attended The Game Changers Live series in Sydney. The response was overwhelmingly positive. A couple people told me it was exactly the resource they were looking for. I hope by sharing it here for free, I can help more people start the right way – and not waste another hour (month, year…) of their life building something no one wants. Need More than a Guide? My friend Jason Spencer and I are launching a new business incubator, and if you’re interested, we’re still accepting applications. 1st – it’s the first EVER heart-centered business incubator. This program is about building heart-centered businesses – the kind you deeply, passionately care about – not just another SaaS company that drains your creative and emotional energy for the hope of monthly reoccurring cashflow. 2nd – it’s the first EVER generosity-based business program. Jason brought me on board as a teacher / coach for entrepreneurs on unconventional pricing techniques and gift economy business models…he also got me on board to help make The Flight Formula practice what it preached. So I told him to get rid of price altogether and let people choose what they want to contribute back. I’ve been told I’m crazy for doing this – that a model like this is stupid and it won’t work. That I’m ridiculous for even offering something like this (“What about costs?! You have to eat don’t you?”). I don’t begrudge this attitude. I’m working on a number of big projects right now – The Flight Formula being one of them – and I apologize for the less than consistent posting schedule. Note: I am booked out completely for consulting gigs into 2015. Will let you know when I open up more spots. If you’re interested in getting notified, make sure to sign up for The Resistance Broadcast. Thanks for your time and attention – it seriously means the world to me. Keep creating and stay on the path. This is wonderful article, thank you for sharing TOM! Loved this Tom! It was amazing hearing you give this talk in person in Sydney. You really inspired a lot of people that day with your words.